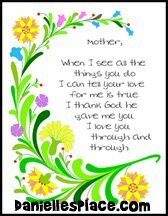 In bringing you Mother's Day card poems we need to reflect how you, (a son or daughter or in-law or step) search for them and that means using the singular and plural of each word ie Mother, mothers, (and mother's) day, days, poem, poems and card, cards. So for those using 'verse' as the word for the rhyme, greeting, wish there are... For those preferring the word 'poems' we have poems about mothers day, mothers day poems uk, mother s day poems, poems for mums, moms on mothers day, mothers day poems and quotes, mothers day cards poems and so on. 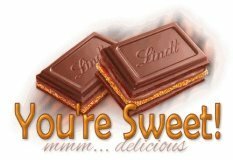 On the this page we have material suitable as son or daughter childrens mothers day poems variously described as children's mother's day poems, mothers day poems from kids,. She makes you feel you are never alone. And looks upon your problems as her own..
She shares your every dream and adds to your esteem. She helps you and does favours, big and small. To those we love the best?